There is only one way to judge how good a banner template is, and that is to compare its click-through rate against your current banner ads. This is called A/B testing if you are testing two variations and multi-variant testing if you are checking three or more versions. You need to be continually testing every aspect of your blog. Changing one factor and comparing metrics against the previous incarnation. Keeping the version that performs better. Testing another factor. Forever. If you run one hundred tests and each gives you a 2% improvement in your chosen metric, you might be impressed by your overall success rate going up by 200%. You will be blown away when it goes up by 1.02^100, or 724 percent. Such is the power of compounding. Earn seven times more money by running a hundred tests that each improve CTR, engagement or sales by 2%? Yes, you need to start A/B testing today. 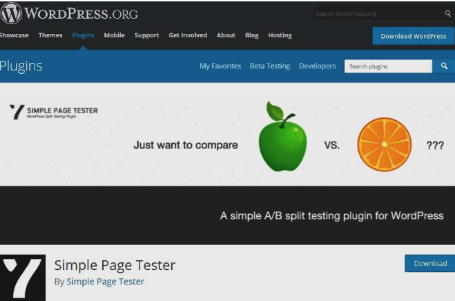 This article on Neil Patel’s Kissmetrics.com explains A/B testing for beginners. If your latest banner ad variation performs worse than the previous one, then dump it and go back, but test a different change. You always keep the ad that performs better. 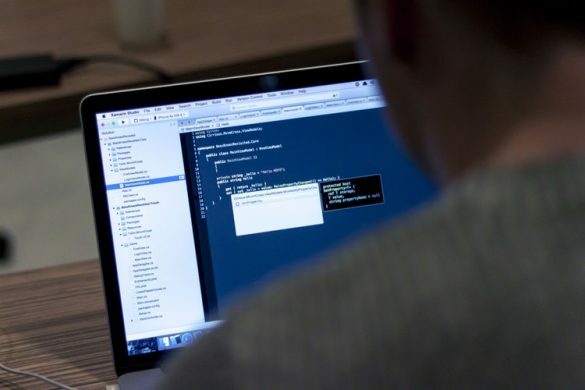 You could run your tests separately, but it is better to install a WordPress plugin that randomizes which of two versions is shown to visitors. Start with the Free Simple Page Tester (see screenshot above), which is as simple as it gets. The biggest problem with A/B testing is that your results might not mean what you think they do, especially if your sample or the A/B difference is small. There are two ways to approach statistical significance; take a statistics degree, or use an online calculator. Click through rate (CTR) measures how well your banner ad catches readers’ attention enough to make them click on it. It is usually expressed as a percentage. You need your CTR to be as high as you can get it: This is how you are paying for your web hosting and marketing of your services. You can make banner ads in any graphics package, but you won’t get many done in a day. Creating your ads from scratch has another significant disadvantage – You are your own guinea pig. If you buy a template package, the graphics have been tested and optimized, saving you years of poor CTRs you would have doing your own testing. 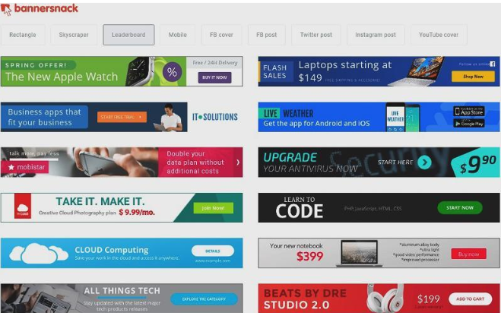 Banner templates let you make tiny changes in your ads in just a few clicks. If it is easy, you are more likely to do it. Most A/B analytics tools don’t work for banner ads, but Bannersnack subscriptions do include statistical analysis of your A/B banner tests, which will save you a shed-load of work. You need banner ads on your site, just like you need $1 notes in your wallet. It is easier, less painful and a better use of your time to use pre-optimized templates rather than designing from a bare screen. Consider using color contrast to get over user ad-blindness: If your site is blue, consider hot pink for your banner ads; make them a design feature. You must run A/B tests on your banner ads. Constant A/B testing over a few years will make the difference between making $200 a month and making $1,400 a month, even if there is only a 2% difference in CTR. A/B testing will improve your SEO, without you doing anything else. Visitors will stay longer on your page and interact with it, demonstrating to Google that your page is exactly what they were searching for. Tools to run analyses on ads are few and far apart, but banner ad template services like BannerSnack include analytics tools to help in your A/B testing.